Tempus has been repairing customers jewellery on-site for over 25 years. Not many jewellery repair specialists can boast the range of repair options that Tempus has at its Exmouth retail shop and on-site repair workshops. 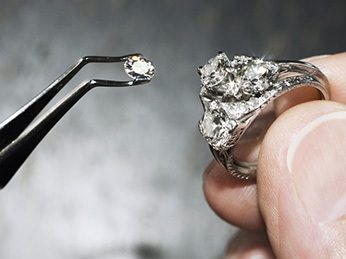 prior to and during your jewellery repair; progress can be checked at any time. Because repair is in-house Tempus gives you the most cost effective routes to repair. At times an item may require a particular part replaced that can’t be made by our technicians. Tempus would source this but also advise customers clearly about this process if it is required. All requests for repair can be considered and advised on. If you have any questions please come to our Exmouth shop to discuss your needs. 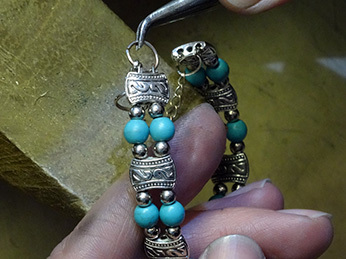 This photo shows the repair of a worn clasp on a bracelet. We can repair many types of clasp, including Lobster and Carabina Claws. 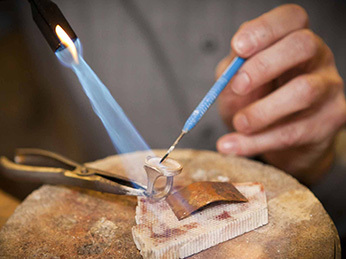 Here Tempus’ technician is carrying out a delicate repair to a gold bracelet. This process only applies heat at the point of the repair, and the broken part of the bracelet. The precious metal is fussed together and the repair completed. 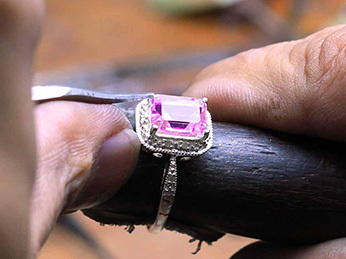 This is part of the careful process of making new claws and setting a replacement diamond to a ring. 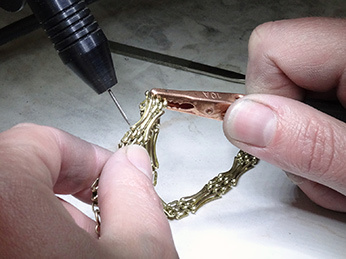 This is a process used in the manufacture and repair of gold items. This picture shows the re-clawing of jewellery with the setting of a precious stone. 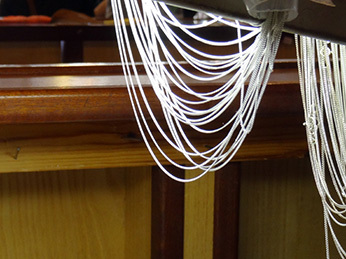 Tempus has a jewellery repair station in-house at its retail jewellery and gift store in Exmouth. Customers are welcome to discuss their repair with the technicians who are always available to give expert advice. We are also able to resize rings in our workshop. We are able to measure the finger of the person whom the ring belongs to, and have the ring resized to a perfect fit.